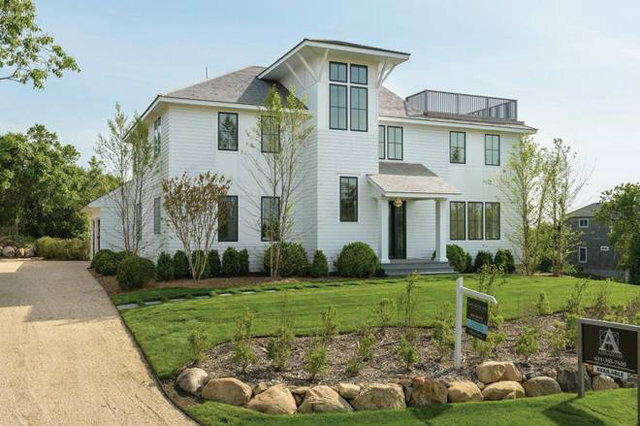 1850, Single Family Attached - Montauk, NY Newly built high quality construction from one of Montauk's finest builders, this four bedroom home offers all the amenities of luxury living with breathtaking views of the Sound. Enter the light filled home where three bedrooms, two baths, and an open den with sliders to the backyard can be found. Upstairs, the master suite has a walk-in closet and luxe private bath. The high-end gourmet kitchen with Thermador appliances overlooks the bay and opens to the living room with gas fireplace. A third level loft area features an oversized rooftop deck with sweeping sunset views across the Sound. Complete with a heated pool, two car garage, and professional landscaping this is a Montauk offering not to be missed.